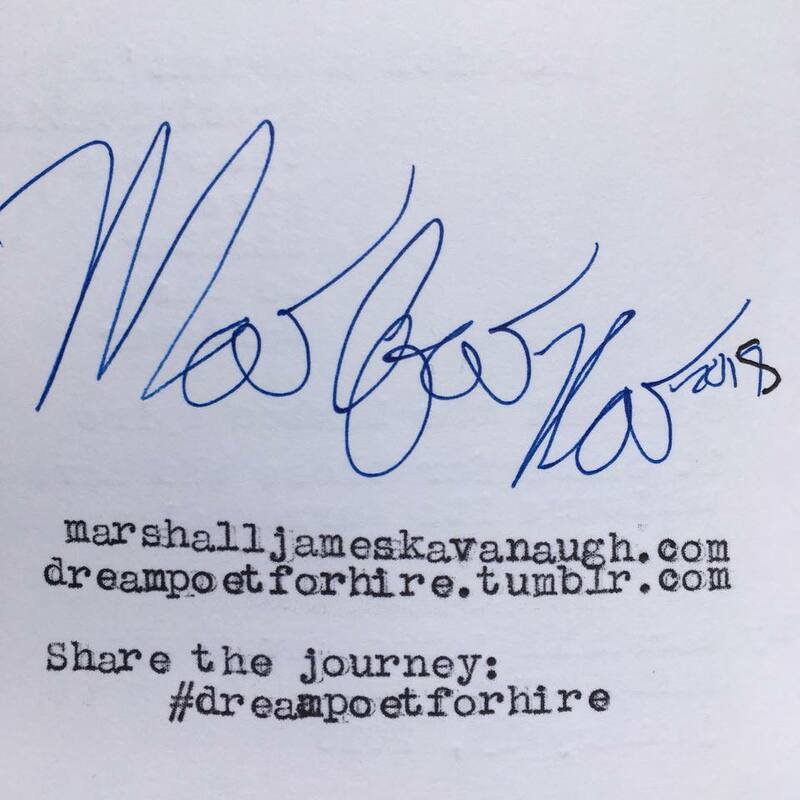 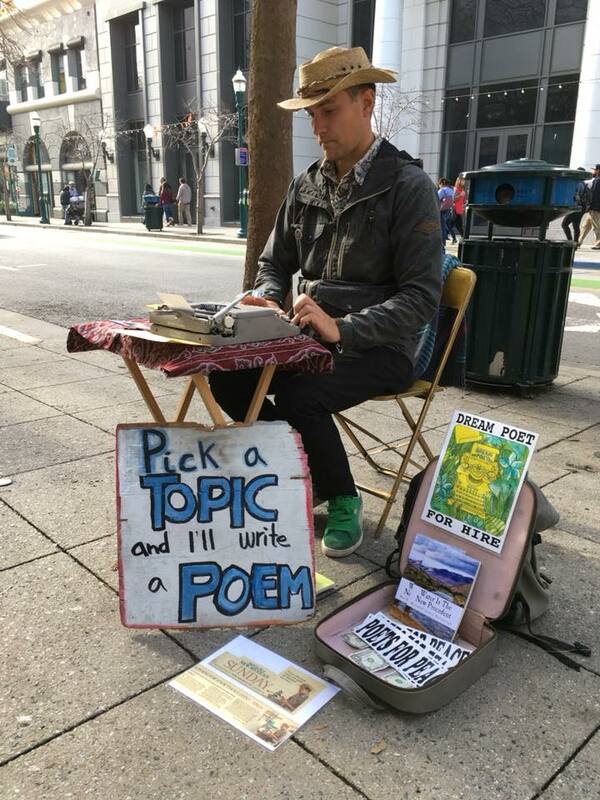 Marshall James Kavanaugh, sits with his mechanical travel typewriter on Church Street in downtown Santa Cruz and writes poems. 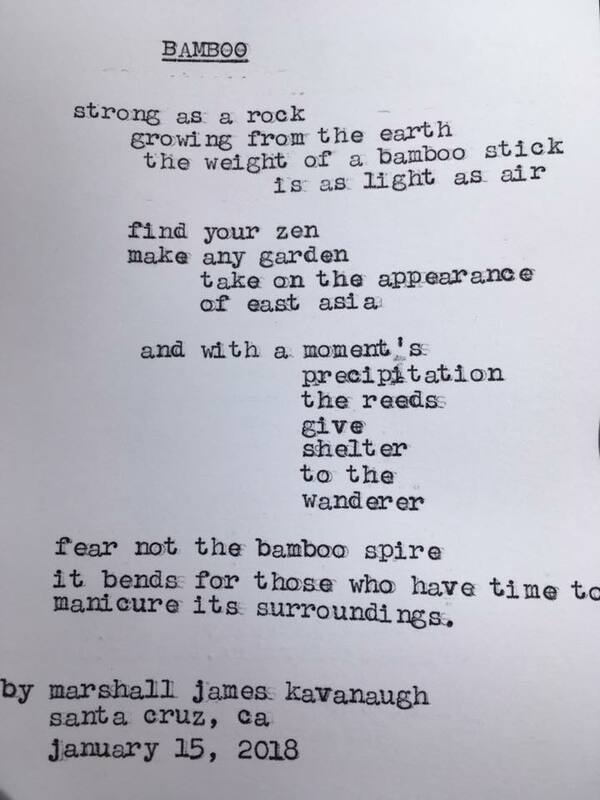 He has written two poems for the key words “bamboo ” and “bicycle”. 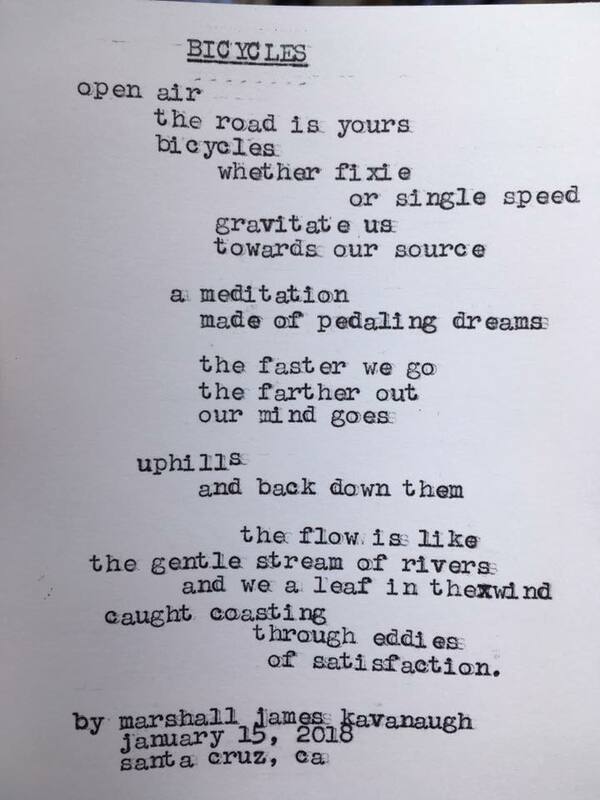 They will be as a dedication in the book on Bamboo Bicycles.